October 15, 2005—The organizers of the Phillips Community Cleansweep would like to thank the hundreds of neighbors who took to the streets of Phillips West, Midtown Phillips, East Phillips and Ventura Village to clean up street litter and help households dispose of large loads of trash. The beautiful autumn morning provided a great backdrop for community action. Fanning out from Park and Bloomington Avenues, 450 volunteers picked up street and residential trash throughout Phillips West, Midtown, East Phillips and Ventura Village. CleanSweep 2005 marked the second straight year the four neighborhoods have united for a community event. Phillips Community CleanSweep 2005 was sponsored by Phillips Weed & Seed, Thomson Dougherty Funeral Home and the Phillips Partnership. 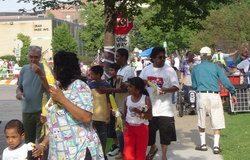 Aug. 3, 2005—Hundreds of area residents and employees jammed four blocks along 27th Street in the Phillips neighborhood on the hot and sticky evening of August 2 to celebrate National Night Out, fulfilling this year's theme of "Building Community One Neighbor at a Time." Thirty-three event participants arrayed between Chicago and Portland Avenues offered entertainment that included musical acts, puppetry, pony rides, root beer floats, face painting, and much more. Staff of the Phillips Partnership handed out 300 books to children. For the eighth consecutive year, the event was organized by community relations staff of Phillips Partnership member Abbott Northwestern Hospital. 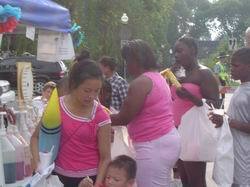 Joyce Krook of ANW and Muriel Simmons of the Phillips West Neighborhood Association were co-chairs. Other sponsors and participants from the partnership included Wells Fargo, Childrens Hospitals and Clinics, and the Phillips Eye Institute. 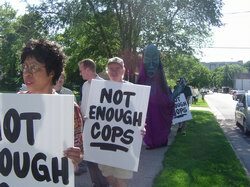 July 1, 2005—Phillips residents and elected officials marched and gathered for a rally at Chicago Ave. and Lake Street to speak out against the recent rash of shootings in the neighborhood. In late June, three shootings left four residents injured, including one 13 year old asleep in his bed, and one person dead. This week, as the peace and justice rally was being organized, a fourth shooting left another man dead. The shootings punctuated a recent rise in crime in the neighborhood, residents and activists say. "People in our community want peace. We don't want to see kids pulled into gangs, we don't want to see increased violence, we want no more deaths," said one of the rally organizers, Jana Metge of Phillips Weed & Seed. "We are rallying as a community to show support, concern, and options for folks to get out of the negative street life." "This community knows how to pull together when we need to," said Metge. The rally was sponsored by Phillips West Neighborhood Organization, Phillips Weed & Seed and MADDADS, with participation from the Central Neighborhood Organization, Little Earth Community and the Phillips Partnership. of construction work happening at the site daily. On the 1928 former Sears building, the brick exterior work continues, and more windows are being removed to make way for their energy-efficient replacements. Interior cleanup activities are quickly being replaced by electrical, HVAC, plumbing and fire protection rough-ins as more residential units and office space are framed and prepped for drywall. The 1964 warehouse that spanned the Midtown Greenway is now gone, and work has begun on the north wall of the 1928 building to add more windows and bring more natural light into the building’s interior. The new Sheraton hotel is on schedule to open in December 2005. The parking ramp will be completed shortly before Project for Pride in Living breaks ground on the “Midtown Exchange Condos on the Greenway” townhomes that will ring the structure. sold, including all four in the 13- story tower—the most costly of the units available. “Allina’s commitment has been a catalyst for bringing energy and investment to the Midtown Exchange project,” said Rick Collins, Vice President of Development, Ryan Companies. He also noted the enthusiastic response of the surrounding smallbusiness community, which has continued to spur Lake Street revitalization. 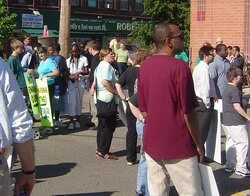 June 2005—The Phillips Partnership is working with Minneapolis’ planning and police departments, neighborhood leaders, and Chi- Lake landlord Peter Boosalis to locate a new safety center in Boosalis’ renovated building on the northeast corner of Chicago Avenue and Lake Street. “This safety center is a very important part of the overall safety plan for the Chicago-Lake area, as it will provide an active law enforcement presence in the area, with strong ties to businesses and community residents,” said Eric Eoloff, public affairs director at Abbott Northwestern Hospital. This would be the second time a safety center occupied a storefront in the Chicago-Lake building. In the mid-1990s, MPD located a safety center there for two or three years, said Boosalis. He and Minneapolis are working out an agreement that would place the new Midtown Safety Center in the storefront at 2949 Chicago Ave. South for at least three years. “This is a deal I’m happy to make because it will be good for business in the long term, and I am in this community for the long term,” said Boosalis, whose family has owned the building since 1909. On the north side of Phillips, the Franklin Avenue Community Safety Center in the Ancient Traders Plaza has proved a highly successful venture for law enforcement and citizen advocates. It will serve as a model for the Midtown location, said Inspector Scott Gerlicher of the Minneapolis Police Third Precinct. Gerlicher has championed the creation of a Chicago-Lake safety center since hearing concerns about rising crime at such community venues as the Community Crime Prevention Initiative sponsored by the Phillips Partnership. The Phillips West Neighborhood Association has also pressed for the safety center, said board chair Muriel Simmons. Gerlicher said the safety center could be in operation as early as this fall. The center will facilitate coordination between police and other law enforcement personnel, including transit police and county probation officers. This interagency coordination, said Gerlicher, has been indispensable to the success of anti-crime initiatives in the area. The Midtown Safety Center will also serve as a hub from which security for the Midtown Exchange and neighborhood policing can be coordinated, speeding response time to safety incidents. Further, it will provide community meeting space. The center will be staffed by a civilian crime prevention specialist, a police employee who will manage law-enforcement programming and serve as the pointof- contact for community concerns. The Powderhorn Park Neighborhood Association will act as the safety center’s fiscal agent. Elena Gaarder, PPNA’s director, says funding would come from the business community, the public sector and foundations. While most financial arrangements are still to be finalized, Gaarder says she is optimistic about raising enough funds to have the center open this fall. The annual budget for staffing and rent is estimated at $135,000, said Gaarder. Eoloff said that the Phillips Partnership will play an ongoing advisory role that includes fundraising. June 2005—When the City of Minneapolis and the Minnesota Department of Transportation resolved their differences over the Crosstown/I-35W interchange this spring, they also announced a comprehensive vision for the I-35W Corridor that includes bus rapid transit (BRT) and improved freeway access at Lake Street. In 2004, Minneapolis withheld its consent on Crosstown for multiple reasons, including a position that the Crosstown project include a more explicit commitment to bus rapid transit accommodations. City, County, and regional leaders, along with State Representatives Frank Hornstein and Mary Liz Holberg, are promoting BRT along I-35W to connect Lakeville to downtown Minneapolis. The I-35W Access Project, sponsored jointly by the Phillips Partnership and Hennepin County, focuses on improving freeway connections for commercial thoroughfares and major employers in and around the Phillips neighborhood. Improved freeway access is considered absolutely essential by many South Minneapolis businesses and residents, including those who are investing in the new Midtown Exchange. The Access Project includes new ramps between 28th and 38th Street and mulitple accommodations for BRT. At the close of 2004, the design process for the Access Project had come to a halt, awaiting resolution of the larger I-35W Corridor discussions and implementation of Governor Pawlenty's commitment of $1 million in state funding for the Access Project design activities. In March, a special panel recommended that a BRT station at 46th Street be included in the Crosstown project. The panel’s report made several references to the Access Project as part of plansfor the freeway corridor. LieutenantGovernor and Transportation Commissioner Carol Molnau agreed to the recommendations, ending the stalemate. Molnau simultaneously announced agreement on how to utilize available funding, including Governor Pawlenty’s October 2003 commitment of $1 million for Access Project design activities. The Corridor project is likely to include reconstruction of the connections between I-35W and I-94 in the commons area, based on further study. Molnau also announced that MnDOT will lead the freeway design, while Hennepin County will lead context-sensitive design elements. The $240-million Crosstown project will begin on schedule in 2006, placing the probable start of Access in 2009. Health Careers Partnership earns Minneapolis Community and Technical College the Bellwhether Award. From left: Jane Foote, Academic Dean Nursing Program, MCTC; Dr. Josephine Reede-Taylor, Sr. Vice President of Academic and Student Affairs, MCTC; Dr. H. James Owen, National Alliance of Community and Technical Colleges. June 2005—On the heels of winning a national educational award for workforce development, the Health Careers Partnership has spent 2005 expanding its programs that connect aspirant healthcare workers with employers. In January, Minneapolis Community and Technical College won the prestigious Bellwether Award in the category of workforce development. MCTC provides curriculum and instruction for the HCP. Considered the Heisman Trophy of community college education, the Bellwether Award recognizes cutting-edge, trendsetting programs nationally. Organized in 2001 by the Phillips Partnership to fill employment gaps in at Abbott Northwestern Hospital, Children’s Hospital and Hennepin County Medical Center, the HCP has grown into one of the largest and most successful hospital-based workforce development programs in the United States. More than 1,000 students have participated in the program. Thus far in 2005, 17 existing hospital employees have been sponsored to prepare for nursing and other health careers. Initially focused on training unskilled workers in the Minneapolis Empowerment Zone for entry-level healthcare jobs, the initiative now includes a variety of accredited continuing education programs helping employees advance along career ladders. 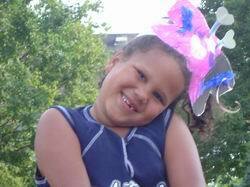 Its curriculum varies based on closely tracked market demand in the Twin Cities metro. Jane Foote of MCTC says new offerings put the responsiveness of the HCP model into finer focus, addressing a range of hiring needs. One new program, dubbed “Paving a Way,” has enrolled 20 HCMC employees since 2004 to ladder from an MCTC associate’s degree to a bachelor’s degree in nursing with Metro State University. The BSN degree is the gateway to management, says Foote, adding that current enrollees in Paving the Way range in experience from non-nursing support employees to one LPN. A second new program planned for later this year will groom HCP alumni for health care management, says Cindy Bloom of Project for Pride in Living, the Minneapolis nonprofit that administers the HCP. “Career Climber” will prepare former Health Careers Partnership graduates now working at Abbott Northwestern Hospital for stafflevel leadership positions. As many as 12 students will compose the first cohort, says Bloom. PPL also has undertaken a new contract with the Minneapolis Employment Job Training Program to broker between area healthcare providers and educational institutions. This effort, says Bloom, will also expand the employment opportunities for graduates of the HCP’s core training programs. Bloom describes the broker role as working with healthcare providers to identify both shortand long-term staffing needs, then leveraging HCP’s existing training model to improve the pipeline between providers and the potential labor pool. She said the scope could grow to include providers and schools throughout Minneapolis and the surrounding area. Abbott Northwestern’s new Heart Hospital opened in May. The building, located on the east side of the Abbott campus along 10th Avenue, adds 256 beds. June 2005—Abbott Northwestern Hospital has expanded its 120-year presence in the Phillips neighborhood with the completion of its new Heart Hospital. The $145-million facility opened in May after three years of construction. The 388,000-squarefoot building is located on the east side of the Abbott campus along 10th Avenue. It adds 256 beds, expanding space for cardiovascular services and providing new inpatient space for neuroscience, orthopedic and spine services. Abbott Northwestern Hospital has been ranked as one of “America’s Best Hospitals” for cardiac care for the past three years. It has also been ranked as one of America’s Best Hospitals in the specialty of neurology and neurosurgery, which includes spine surgery. A founding member of the Phillips Partnership, Abbott Northwestern Hospital is part of Allina Hospitals & Clinics, a nonprofit network of hospitals, clinics and other health care services. Allina will further expand into Phillips in 2006 when it consolidates its regional corporate operations within the new Midtown Exchange. This move will add more than 1,500 mostly professional employees to Phillips. In 2004, 174 individuals took Health Careers courses. Course titles offered in 2004 were: 10 nursing classes, 2 nursing assistant courses, college English and Speech, 2 Biology courses, Phlebotomy, Chemistry and English as a Second Language. Of the 174 students, 76 individuals were sponsored by the partnership. Of the 76 sponsored students, 49 individuals were eligible for Empowerment Zone dollars based on their residence, and 27 were funded in coordination with partner hospital tuition reimbursement programs. In 2004, the Project for Pride in Living staff placed 32 Health Careers participants in jobs. (Note: a number already have jobs and attend school, and a handful attend school full-time). The average wage of those placed was $11.02/hour. Of the 32 individuals placed in jobs, 9 of them were placed at Abbott Northwestern Hospital, 1 was placed at Hennepin County Medical Center and 22 were placed at facilities outside the partnership. In 2004 the partner hospitals had fewer training and hiring needs. In addition, restructuring and hiring freezes occurred at two of the hospitals. Program expansion and outreach efforts have included talks with University of Minnesota Health Services, American Indian Opportunities Industrialization Center (OIC), Summit Academy OIC, North Memorial Medical Center, Park Nicollet Health Services, Care Providers of Minnesota, Ramsey County health pilot and Minneapolis Community Planning and Economic Development. We have graduated 48 trainees and placed 31 of those graduates. The total number of placements to date this year is 47, including 16 graduates from last year. The most recent of hires have been in Nursing Assistant, Environmental Services, and Dietary Aide, positions. The partner hospitals have absorbed 90 percent of our recent new hires. More than half of the placements in the third quarter quarter were at Children’s Hospitals and Clinics Minneapolis. This is a very significant increase from previous quarters. Over the past seven years, Train to Work has placed 500 individuals. Forty-four TTW graduates have gone on to take courses at the Health Career Partnership. Train to Work, Health Careers Partnership, and Financial Careers Institute personnel relocated to 810 E. Franklin Avenue in December.